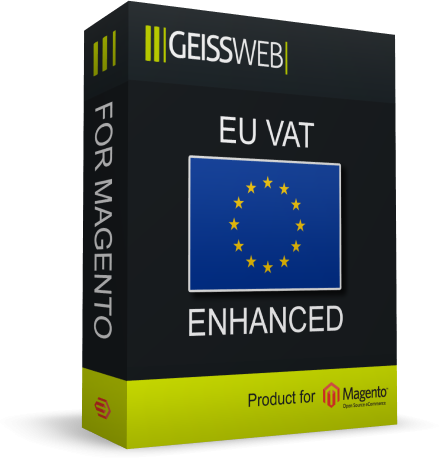 EU VAT Enhanced improves the capabilities of Magento when it comes to business-to-business transactions within the European Union. It can control how and for whom VAT is charged. 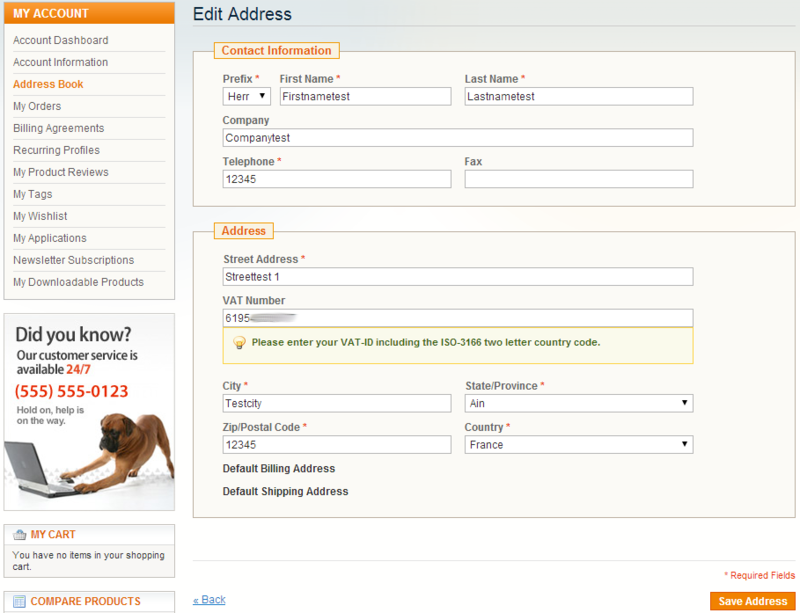 It replaces the Magento core VAT number validation functionality introduced in Magento 1.7 with its own, also to give your business partners a better feedback. 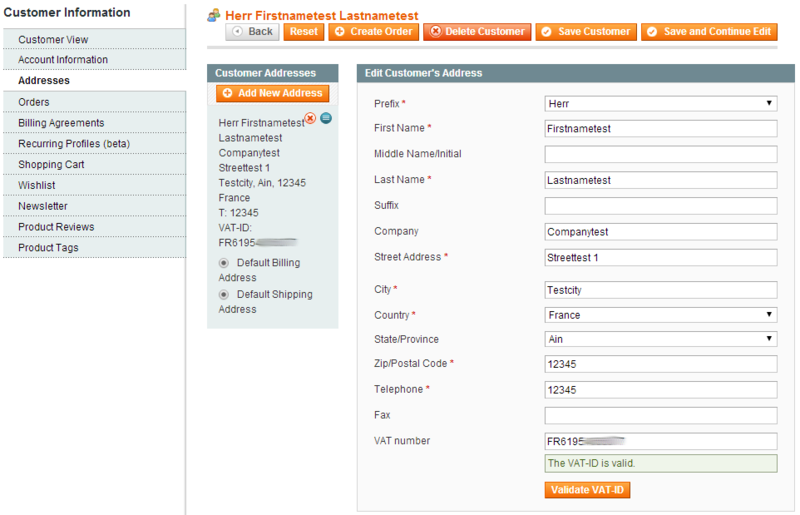 Placing an order with 0% VAT is possible for guests and registered customers, totally independent of the customer group. Save your time and development cost and just use the evolved solution trusted by >1k of other merchants and agencies which is constantly improved. 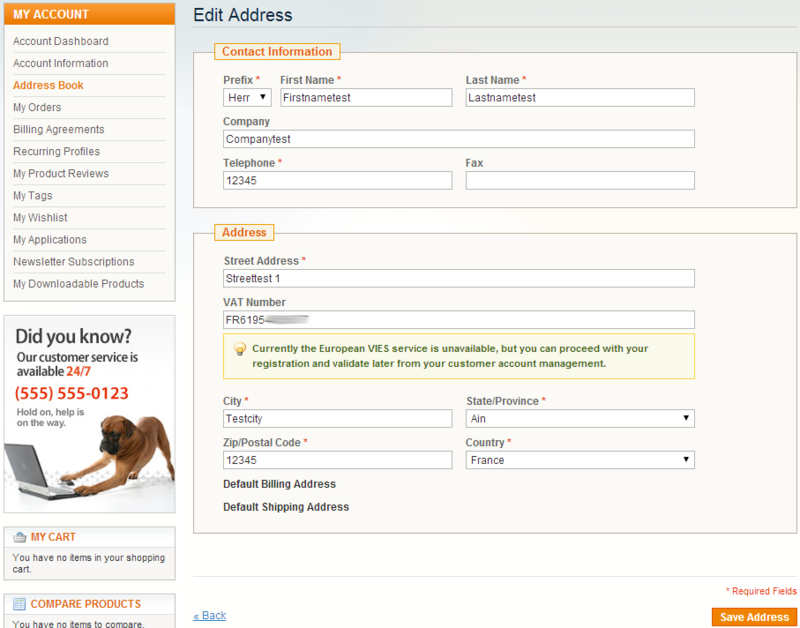 You may enter your customers company name if you are a agency (for update and support access). If you use it for your own you may enter a custom project reference. 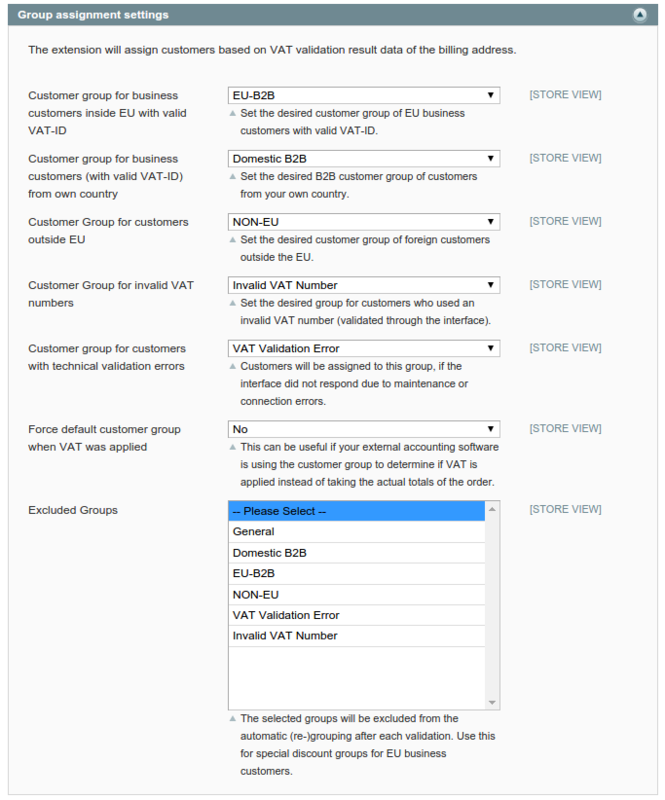 The VAT calculation is not coupled with the customer groups. 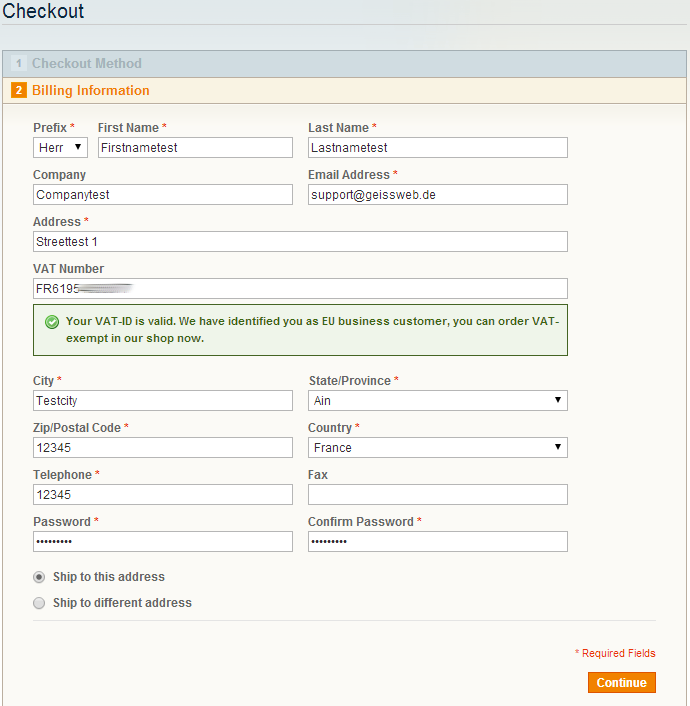 The decision if VAT is applied to the order is flexible on the customers address and validation data. 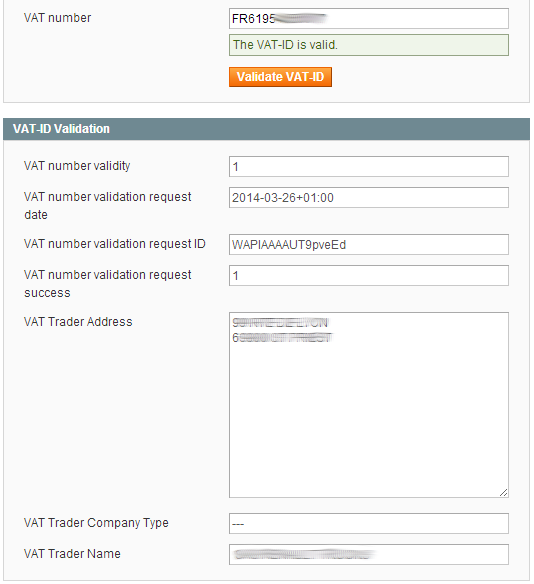 This extension uses the EU VIES (VAT Information Exchange System) service to validate the VAT-IDs of your customers. It is possible that this service experiences downtimes where it is not possible to validate the VAT Numbers of your customers. 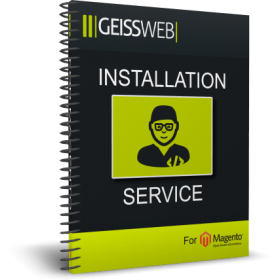 In such cases, it does not constitute a malfunction of our module and your customers will still be able to register or checkout in your shop. The specific disclaimer for the VIES does also apply on our module. This page and our software does not constitute tax advice and is merely intended to serve technical solutions to common issues with business requirements in Magento. For tax information please consult your tax advisor. There is a legacy version of this module for Magento 1.4.x to 1.6.x (does not have the feature additions shown in the changelog). I work at a digital agency and deal with a number of Magento sites, the majority of our clients have a B2B feature on their website, all of which use this module. It makes what is normally a tedious process a breeze; much better than native Magento functionality! Excellent plugin, works with minimal setup. 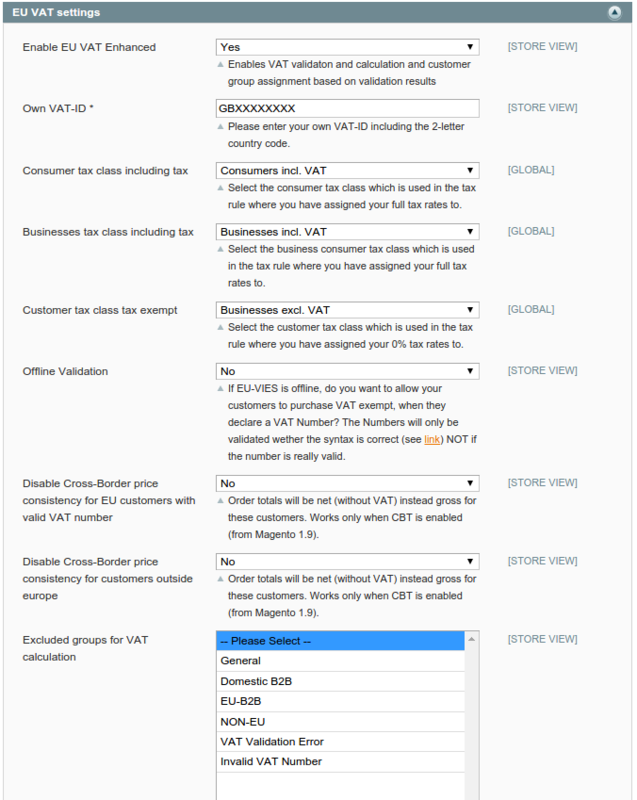 We used automatic settings which created the rules needed to apply the EU VAT rules. Support to help with a couple of technical problems was comprehensive and very quick. Thank you! Very good extension, our own theme on 1.9 posed a lot of problems because the used files are still from 1.6, so many things are missing. Support was very good and always fast, many mails were exchanged. Got it working in the end like a charm. Would recommend! A really great extension! The installing and setting everything up was easy. It saved my time! Thank you! The price is ok! Well-documented extension, works great. A nice benefit was tax tables that can be uploaded to get started which helped reduce setup. Support is quick and right-on. 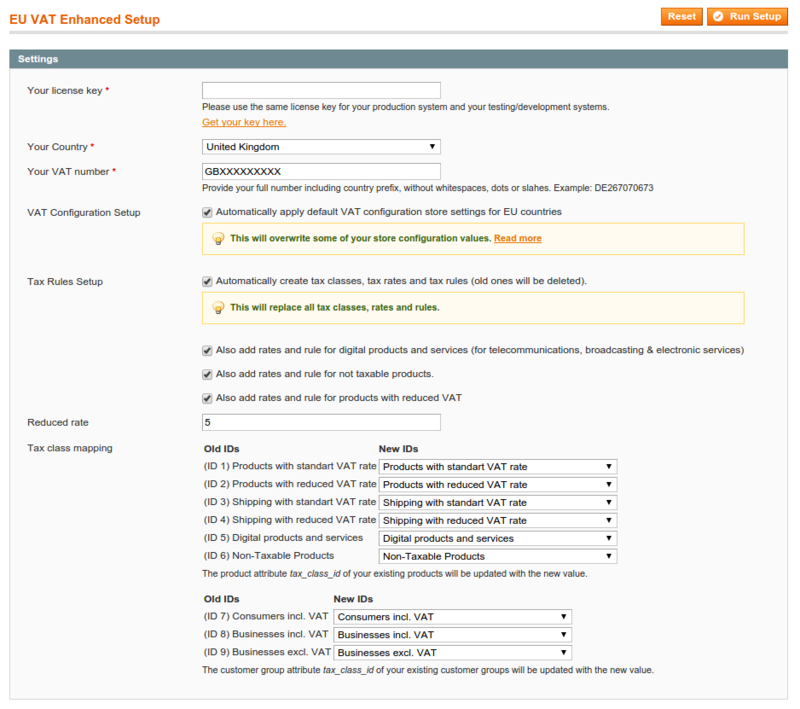 The EU VAT enhanced for magento works very nice! Sven does great support. Great Extension and Best support ever. Not only does the extension work very good. The support is even better. Does everything it promised. Very satisfied with extension and support for customization. We have this extension for a few months now. After we did something the extension wasn't working anymore. After contacting Sven, we had very fast response. He looked at the problem by making a account etc. Suddenly the extension worked again, without any problems. However we were surprised by the fast response and ready to help us out. Need this extension, just by this one! This a a great extension and works like it should! It also includes a very detailed setup guide. Support is also very good! Had a few customisation questions and got helped very quickly. After purchasing and installing the module, setting everything up was easy. The documentation was very detailed on every step: creating tax groups, customer groups, helping us setting up the tax settings correctly for our country, etc. The module functions like it should. It notifies the customer like it should. Dropped customer attributes "last_vat_validation_date, vat_validation_result, vies_result_data"
Introduced customer address attributes "vat_trader_name, vat_trader_company_type, vat_trader_address"